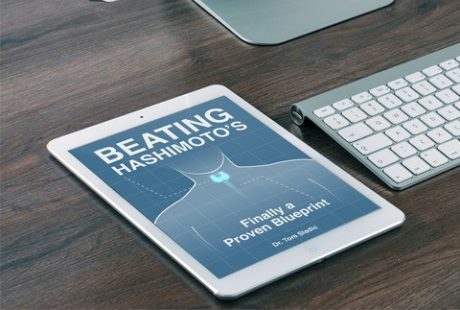 If you have Hashimoto’s hypothyroidism, it’s important to remove as many artificial and toxic chemicals as possible from your diet and environment. The study found that not only do aspartame and sucralose not prevent weight gain, but they also raise the risk of disease in people who use them regularly. Artificial sweeteners receive thousands of complaints to the FDA and raise concerns in scientific studies. When you are managing autoimmune Hashimoto’s hypothyroidism, it’s important to reduce the toxic burden on your body as much as possible. Avoiding artificial sweeteners is one important way to do this. It can be difficult to avoid artificial sweeteners when you have Hashimoto’s hypothyroidism as they are hiding in foods you wouldn’t think have them. These products are not always clearly labeled and some are even labeled with misleading claims such as “natural ingredients.” Make sure to always read labels. Go for whole foods with no artificial additives as much as possible when you have Hashimoto’s hypothyroidism. Of course, weight gain is a concern for those who have been battling Hashimoto’s hypothyroidism, although managing the thyroid autoimmunity often leads to natural weight loss. 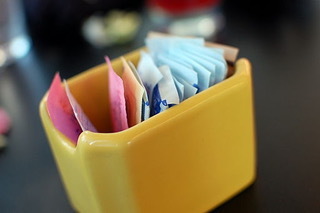 Part of this management includes avoiding questionable additives such as artificial sweeteners. A healthy gut microbiome is especially important when trying to manage the autoimmune component of Hashimoto’s hypothyroidism. 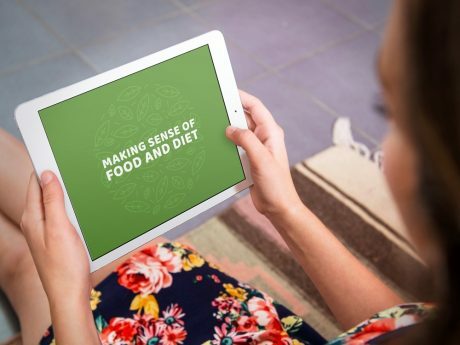 In functional medicine, we see time and time again that people naturally lose their cravings for sugar and starchy carbs when they eat a whole foods diet that stabilizes blood sugar, lowers inflammation, and promotes brain health. You won’t feel drawn to regular use of artificial sweeteners when you have no cravings for sweets in the first place. Ask my office how we can help you manage your Hashimoto’s hypothyroidism.